I wanted to give you an update on the visioning process that my company went through two weeks ago when we met on the tail end of the Gazelles spring summit in New Orleans. I detailed what visioning is and why you need it in episode 33 of the IT Provider Network but in case you missed it here is a quick overview. Visioning is looking into to the future and describing what success looks like then. At that point in time. It’s now the how to; it’s the motivation and the direction. It is what success then looks and feels like in the future. • Inspiring. To everyone that will be involved in implementing it. • Strategically sound. That is, we have a decent shot at making it happen. • Documented. You need to write your vision down to make it work. • Communicated. Not only do you have record your vision but if you want it to be effective, you have to tell people about it too. So we set out to create our first vision for the company 24 years after we started it. Our senior management team is made up of 7 people, so the way we started the process was by deciding on a time frame, for us it was 2022 and that we were going to be visioning for the whole company, not any single division or department. Then we all went off and wrote. I encouraged people to think positive about what was possible and to be free with their ideas. We all handed them in anonymously to our coach who compiled them and sent them back to us combined to review before we met in New Orleans. Once we all got together for our onsite meeting, we put the combined document up in a google doc. We read each visioning entry and highlighted parts and pieces that really resonated with us. It was awesome to see how seven different people, most of who have been with our company for 10+ years had different desires and direction for the company. Some addressed specific product directions, others staff size, and what the office space looked like in 2022. It was fascinating to get everyone’s viewpoint, and we were able to pull some great things out of every person’s document. So once we had a bunch of highlighted sections, we tasked three people to craft them into three parts of a new document. The first part about overall company vision highlights, the second for our software development division and the third for visioning specific to the managed services division. Once we have this combined document, we will hone it and redraft it then share it with our staff. To give you an idea, here are some of the highlighted phrases that’ll be shaped into the next draft. So I hope some of these statements inspire you. I know they inspired me! Get going with a visioning project in your company. If you don’t have a management team then write for yourself. Share it with your team or if you don’t have a team share it with your cat. The key is to take some time, step away from day to day and see yourself in the future. One of the visioning statements I just read was about multipliers. I can’t remember if I ever spoke about the book Multipliers by Liz Wiseman but I encourage you all to get it and read it. If you want to help the podcast out with a few sheckles, then buy it from the Amazon link which is in the show notes at www.itprovidernetwork.com/34. The book goes details how great leaders use their intelligence to amplify the smarts of those around them. Instead of draining energy and capabilities out of them by being diminishers. One of the concepts in the book is the technique to expect peoples best work. This is not expecting your staff to always come to you with the solution but to have done their best work to come up with some possible solutions. The young manager put his head down, meekly said no and walked out of the room. When he left I asked the CEO, “What did you mean when you said is this a six-inch putt?” He told me that he expects all of his management team to drive the ball down the fairway and get the ball on the green. He told me that his job is not to figure everything out, it is to provide guidance and direction after the legwork is done and his staff has put thoughtful consideration into the problem. 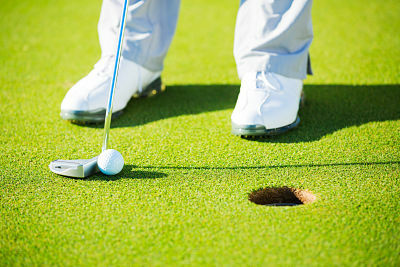 Ask yourself – is your team if they are coming to you with six-inch putts? If not start expecting more from them. Build your team of multipliers, and it’s like getting double the staff without double the payroll costs.